Cracked skin is a classic symptom of dry skin, but it can also occur in response to scratches or other trauma, or infection. Medical conditions (neuropathy in diabetics limits sweating. Skin conditions (psoriasis and eczema). Conformable non-woven backing coated with sticky hydrogel matrix. Treatment of rough, dry and cracked skin. 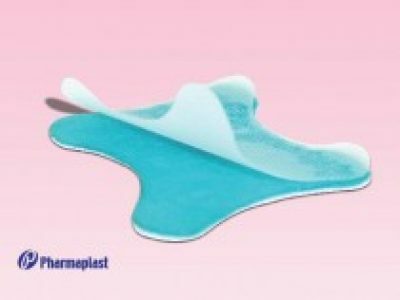 By leaving the BioSecrets® Crack Care moisturizing patch overnight, the skin is allowed to rehydrate and remains protected. Rich ingredients give moisture, exfoliating and healing to skin with immediate effect. Do not apply around the eyes, mouth (lips), nose, mucous membrane, wounds or inflamed skin. Children should use this product under adult’s supervision. The patch will not stick to the area if the skin is wet or oily. 1.Thoroughly wash and dry the area. 2.Make sure that your skin is well dried. 3.Open the pouch and remove the cover sheet on the surface of the gel. 4.Apply the patch to the cracked skin and secure them. 5. Wear the patch overnight and remove it in the morning.